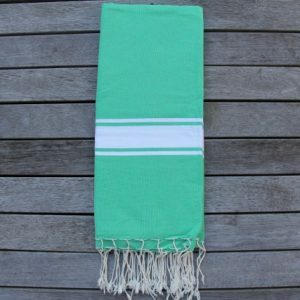 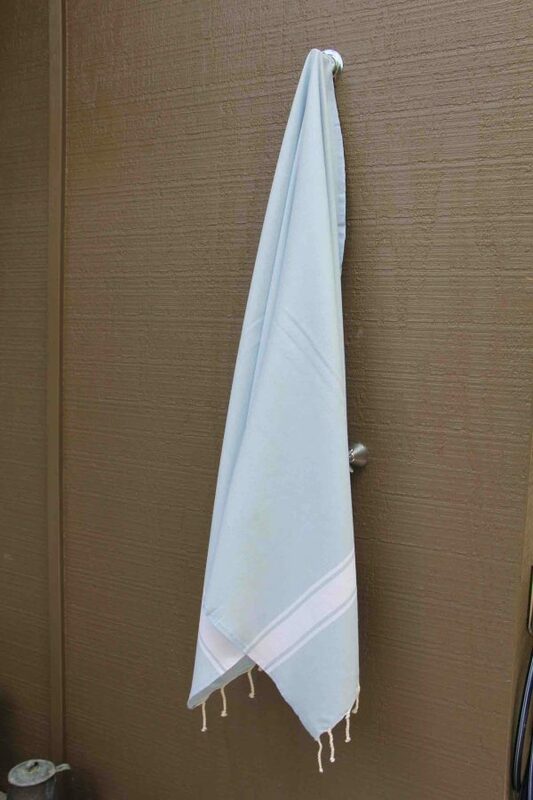 A striking Fouta in the classic style – This Fouta is a wonderful all-rounder. 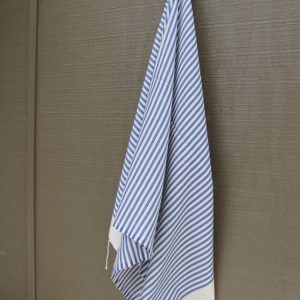 A perfect picnic blanket, table cloth or beach towel. 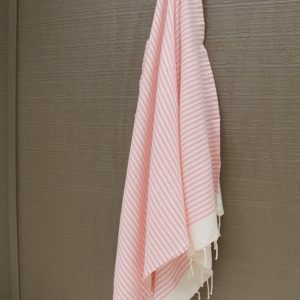 Ideal for travelling since it is small to pack. 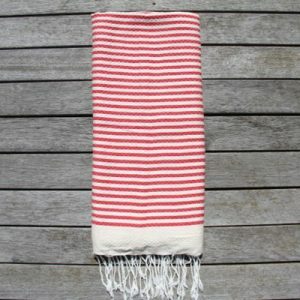 A flat weave of solid colour with a white horizontal band at each end.